Heavy Planet : Zac's "Double Dose": Knife / Uoh! Zac's "Double Dose": Knife / Uoh! I have something in common with Detroit, Michigan's 'sonic colossus' Knife... our hockey teams let us down in the first round of the 2012 NHL Playoffs (and it wasn't that long ago that we met back to back in the Stanley Cup Finals, each taking home a cup). Well, maybe if the players were listening to some catchy and adrenaline inducing sludge, the likes of Knife, we would be singing a different story. The members very eclectic and diverse past musical lives, in punk rock and metal, culminate to create this dangerous brew. The songs have a radio friendly run-time and plenty of hooks covering their sludgy foundation, thanks to the band's genuine song writing ability. Curt [Massof]'s bark is impressive and intimidating, and has to be the cornerstone of this edifice known as Knife. The band has shared the stage with big names, Black Tusk, Fu-Manchu, Intronaut, Lo-Pan, and Tool. 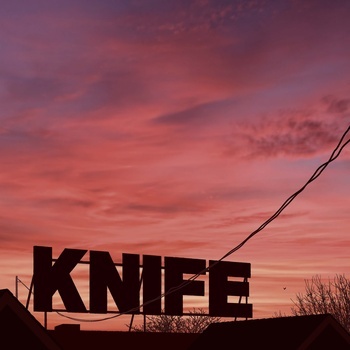 Each a Heavy Planet favorite and adding all the more reason to give Knife a listen. Check out their live performance opening for Intronaut and Tool below and download a copy of the self-titled EP at bandcamp. Uoh! is an instrumental / improvisational band from Montevideo, Uruguay. Started as a side project in 2006, the band plays a genre of placid post rock. Driven by warm emotions, fuzzy atmospheres, and distortions the music continually builds to a glorious crescendo and gracefully fades back only to begin the process again. The latest recording 'Manuales Illustrados del Pequeno Tesla Vol. 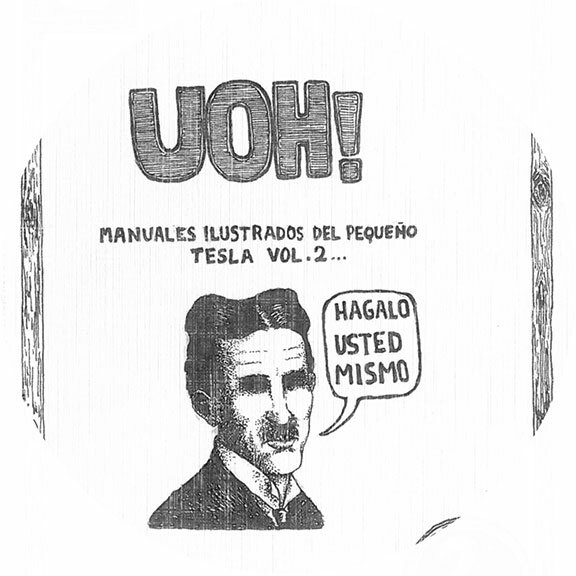 2: Hagalo Usted Mismo' is more guitar focused and looping harmonies are added by keyboard, creating a unique sound. Music from the demo and full length 'Manuales Illustrados...' can be heard at soundcloud and downloaded at Esquizodelia Records. In the mean-time, check out this live performance!